After purchasing an investment home it became clear that we needed a bathroom remodeling. We wanted to change the layout which included relocating the plumbing and fixtures. We plan on living in this house until we sell it so we wanted to feel confortable while conducting our daily personal hygiene plus remodeling the bathroom makes good financial sense for when we go to sell the property later. We plan on installing high-quality products in a bathroom which should provide a high return on our investment. After giving it some thought I came to realize that one of the biggest obstacles would be to relocate the doorway, so after several designs I was able to move the doorway over a couple of feet to accommodate the new design. To help you in planning your new bathroom design I will provide a list of things to consider before you start tearing out walls and fixtures. As mentioned before make sure that you are able to relocate the doorway, if necessary. Make sure that you understand all structural issues and that all changes will meet your city or county codes. There are very strict codes on removing, drilling or notching load bearing walls and floor joist. If your bathroom is built on a concrete slab that rests directly on soil, many of these issues will not apply, just remove the slab and place piping wherever you need to. When I remodeled my bathroom it was out of service for about 18 to 20 days. So plan well to lessen the down time. Below is a list of things to consider to help speed up the process. * Stage all of the materials at your home before the job starts. * Make sure every item is free of defects, the right size and you have every single piece of material you need. * You can save a day or two off the drywall phase if you use rapid-setting joint compound, and tape the drywall seams directly after the drywall is fastened to the walls and ceilings. * Be sure to arrange all of the temporary arrangements so you can still live in your home as the remodeling work progresses. Consider setting up temporary showers in basements or garages or ask a relative to borrow theirs for a few days. * Toilet facilities can be a major concern, in many smaller homes there is only one toilet in the entire house. If this is the case, you may have to order a portable toilet that can sit outside. * Make sure that you know how to operate the primary water shut-off valve in your home and that it works. If you see a leak, shut off the water immediately to prevent major water damage. 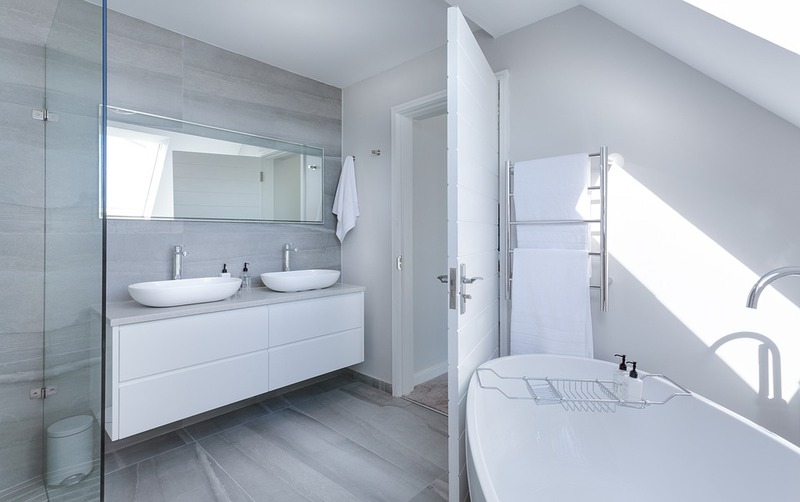 a bathroom remodeling will seem like an impossible task but trust me if you plan well and hire specialist to do things you can not there is no reason why you should not succeed. I managed to remodel mine and saved a boat load of money by doing so. With the addition of my new ba throom we can expect an increase of $5,000 to $10,000 in increased home value. Good luck with your project.